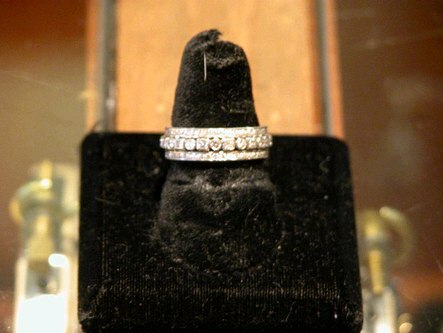 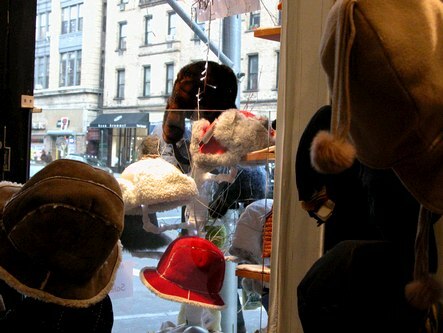 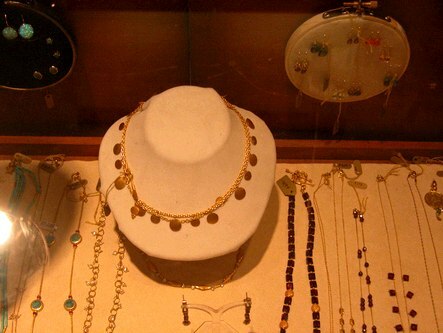 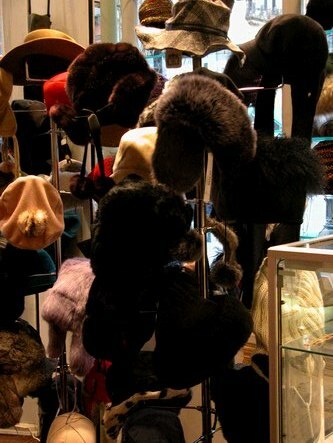 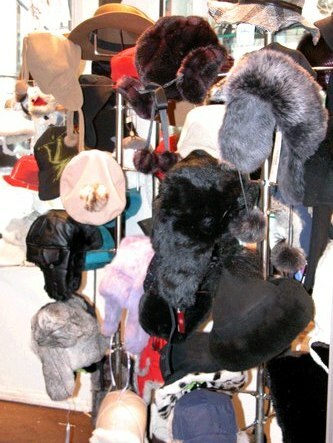 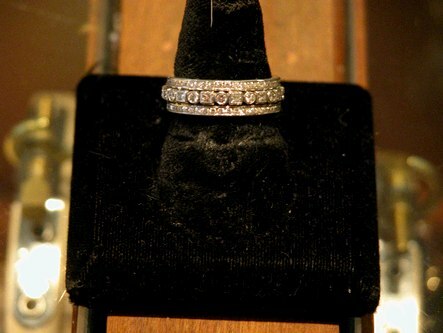 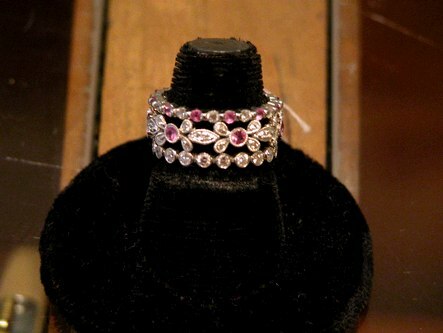 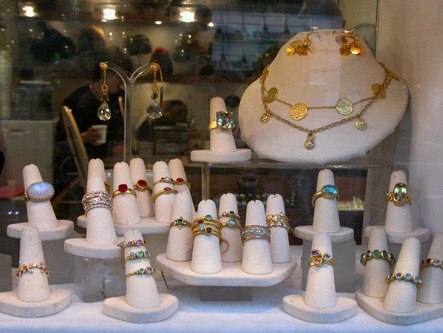 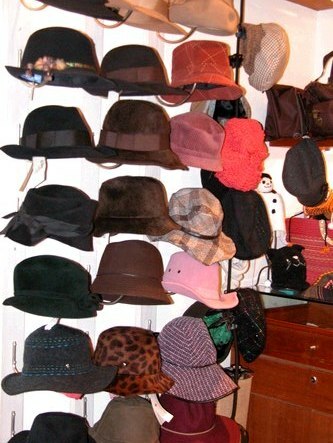 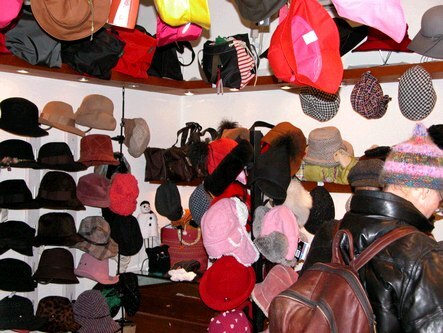 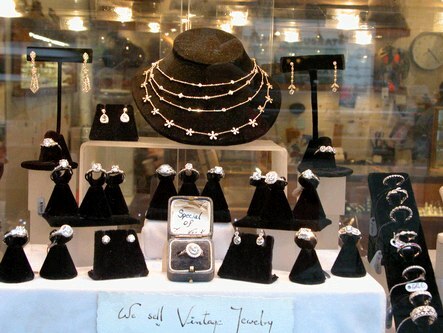 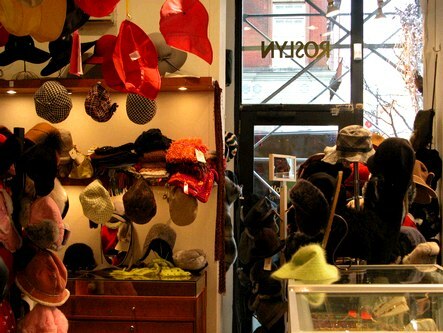 Roslyn, a store selling beautiful jewelry, hats and more, is located at 276 Columbus Avenue, New York, NY (212-496-5050). 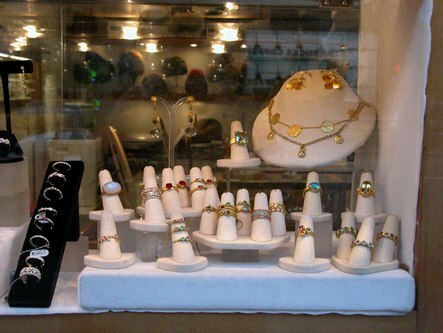 In addition to the many stunning rings and necklaces they have in stock, they can work with you to custom design jewelry for you, using your stones or theirs. 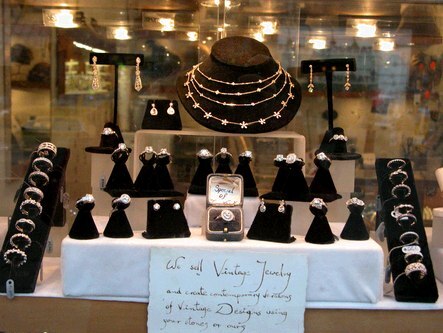 The sales staff is very friendly and helpful. 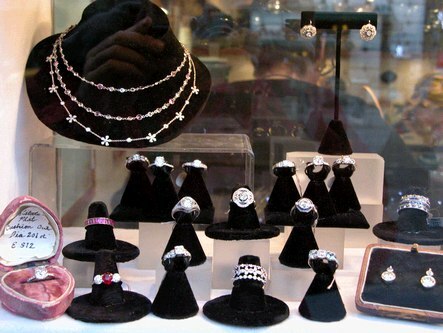 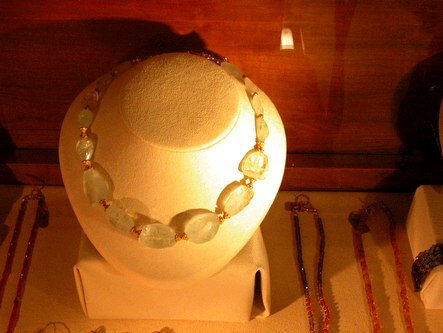 Below are pictures of just a few of the classy jewelry and hats they carry.